This was a chance purchase thanks to a couple of bottles appearing at the Edinburgh Cadenheads store recently. Occasionally from the darkest depths of Campbeltown, a few previously believed sold out releases are rediscovered and sent on their merry way. For Whisky Rover I was standing in the comfortable confines of the shop scouring the list and trying to recall anything that I had missed out on previously. 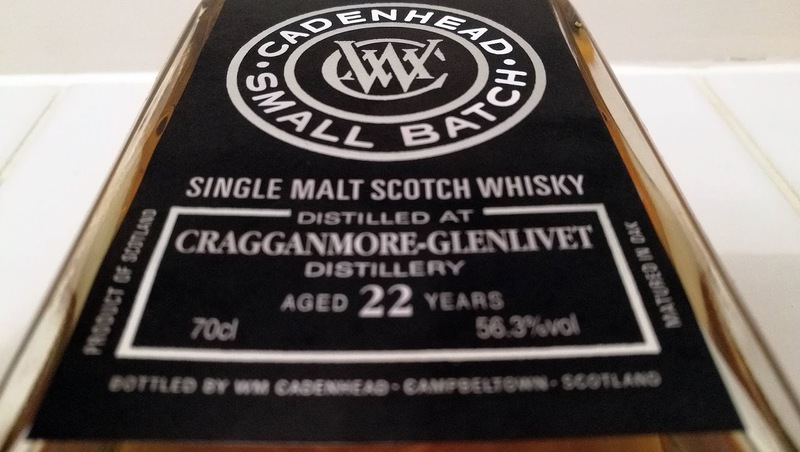 The one bottle that did stand out on several fronts was this 22-year-old Cragganmore. I always have time for this distillery including the excellent official 12-year-old bottling that shows a refinement and flavour profile that others can only dream of at such an age. You have to move quickly nowadays when stock does appear at Cadenheads or really with any retailer or online stockist. Word does get out rather quickly in this technological age of social media. This also applies to word of mouth and recommendations. 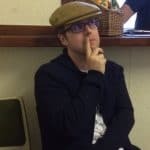 Once the jungle drums strike up about a recent or forthcoming release being of decent quality, then don’t stand around debating whether to purchase. I’ve done this previously and lost out with need to debate, research or lull over a bottle. Nowadays when it’s gone then it’s gone; more than likely to an auction near you sadly. With most of the bottles on this new arrival list being solitary examples and some already gone, decisions had to be made. Pricing quite often is a factor with most stockists but less so with Cadenheads it must be said. Their prices are somewhat remarkable at times and part of their success. How much would you expect to pay for a 22-year-old Cragganmore? Consider the aforementioned 12 will set you back around £35 and the Distillers Edition around £55 for something just a year older. Then you have the 2016 Special Release that is a No Age Statement along the lines of the dubious Clynelish Select Reserve bottlings. If you’ve got the stomach for the price, then a bottle of this Cragganmore will set you back an incredible £400 for something that is withholding vital information. In the wacky world of independent bottling the price for this Cadenhead bottling was just £70, which is amazing. Independent bottlings from this distillery are few and far between. 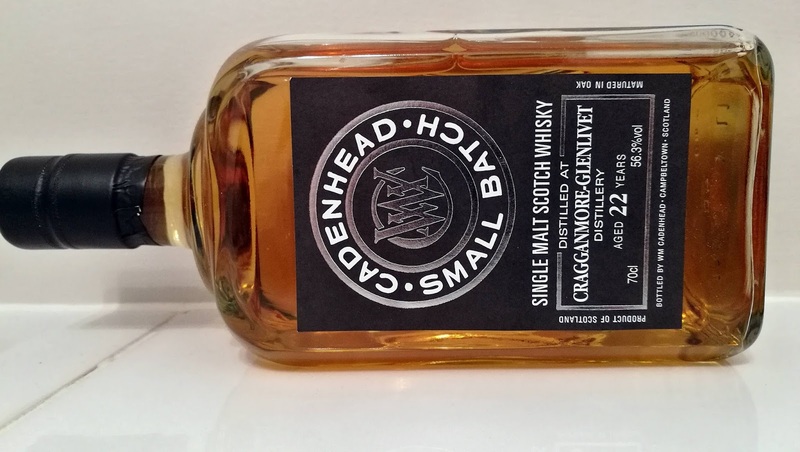 Add to this the consistent quality of these small batch bottlings from Cadenheads that are a result of vatting various cases and wonderful things can happen. There’s a certain magical hocus-pocus being unleashed down in Campbeltown and combing casks can transform a whisky as we’ve seen with the consistently excellent Littlemill’s from the same bottler. Are two casks better than one? Unless one is exceptional, then yes I do believe so especially when they’re vatted minus an additional cask finish. Needless to say the deal was sealed and the purchase made and now for the review. Nose: icing sugar and lime zest initially then more sweetness with honey and meringue. A balsa wood note and familiar caramel. A mint freshness with plasticine rounds off a solid arrival. With water more malt and spice are extracted with vanilla cream and white chocolate. Taste: initially more Caribbean with coconut and lime with vanilla. With water its freshly made pancakes, all-spice and chestnuts. Overall: it’s a solid Cragganmore and confident in what it does. A perfectly pleasant sipper and ideally priced to do so. If Cragganmore was a band then I reckon it’d be Black Sabbath. It’s been around for generations and has persistently stuck to its guns when..